November 27, 2017 By Tina M 3 Comments This post may contain affiliate links. Read my disclosure policy here. 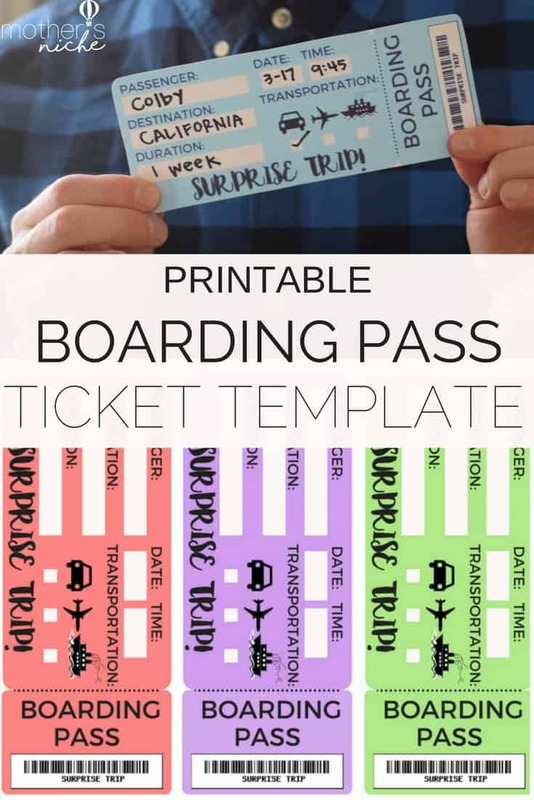 If you’re looking for a printable tickets template for surprising someone with a vacation or trip of some sort, you have come to the right place! 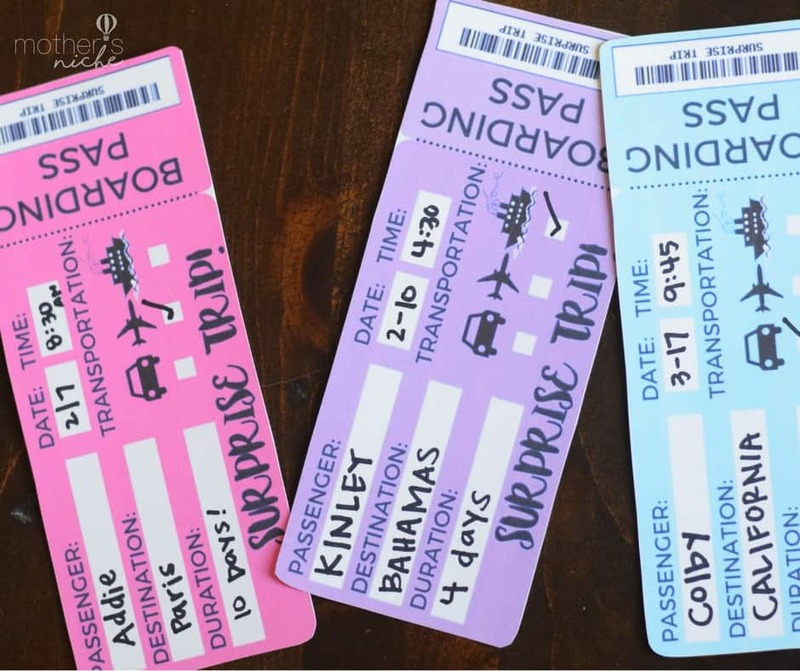 Whether it’s a surprise vacation for the husband, or a surprise vacation for the kids, these printable tickets are fun way to start the adventures! If you read our post about doing Christmas different this year, we have decided that we want to stop giving toys and things and start giving experiences, including surprise vacations. These are the kinds of things that really bring our family close, and family trips are something that every single one of us look forward to for months! 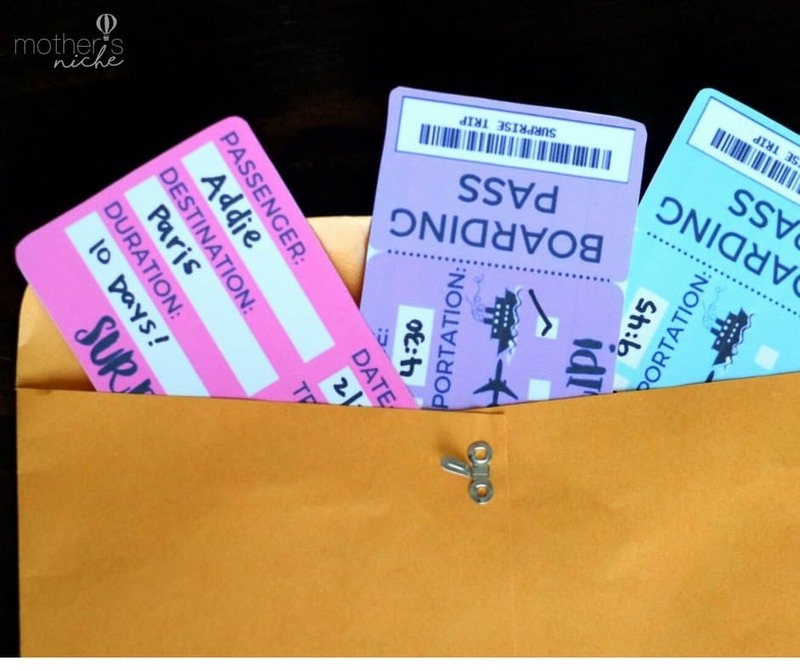 With Christmas right around the corner, I figured many of you could use these free boarding passes as stocking stuffers, or wrapped up in a big box (if a family trip is your main gift). If you are surprising your kids with a trip to Disneyland, see our post on where to get Disneyland Discount Tickets, and also Creative ways to Surprise Kids wth a Disneyland Trip. I’ve made the printable tickets template in 3 different colors for you: Blue, Pink and Purple. All the details will print blank your boarding passes so that you can fill them in with your own surprise vacation itinerary. There’s also an area on the Printable tickets template to checkmark whether the recipient will be traveling by car, plane or ship. If you are using these free printable boarding passes for surprising the kids on Christmas, you might want to use our Christmas treasure map and clues to lead them to their tickets! 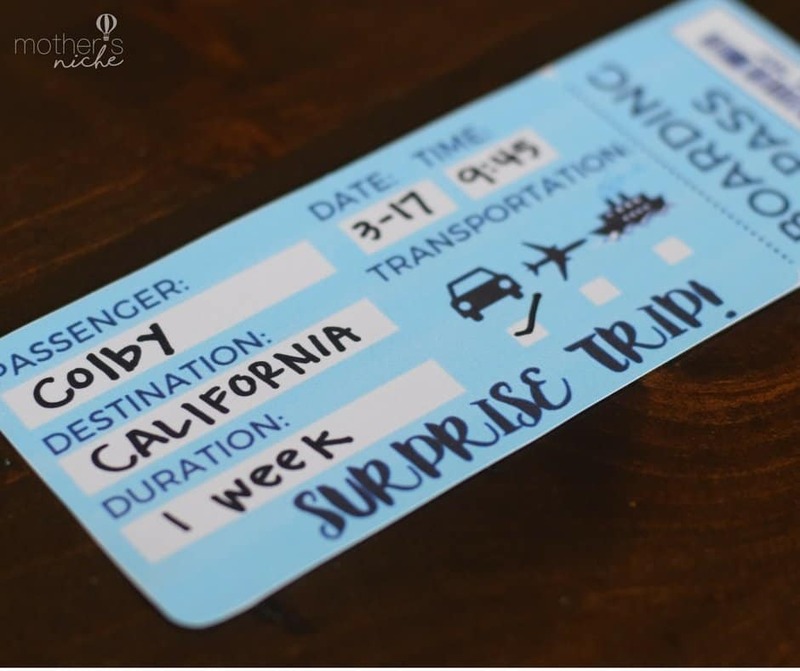 I would love to see all the ways you guys use these printable ticket templates and where you are traveling on these surprise vacations! Tag me on Instagram or use hashtag #mothersniche. Loves these boarding passes!! Thank you so much! !